Today is National Coffee Day so in honor of that I bring you a little story about an international coffee experience. 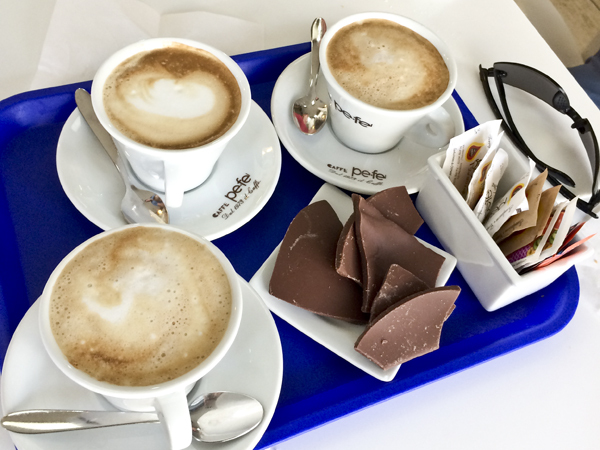 The morning that we left Florence en route to Rome, we didn’t want to get stuck in rush hour traffic so we set off early without stopping for breakfast and, more importantly, coffee. 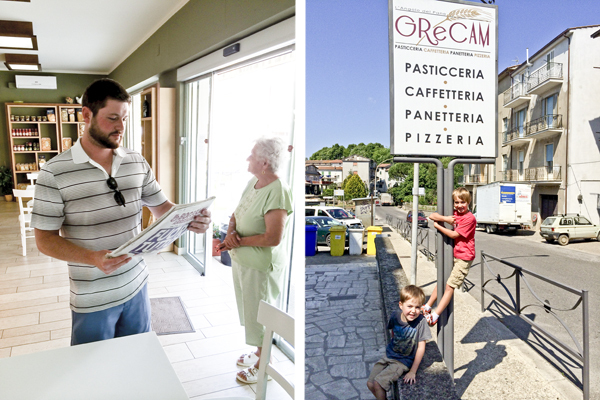 We decided that it would be fun to stop in a random small village along the way and get breakfast there which is how we came to be in the town of Orte. 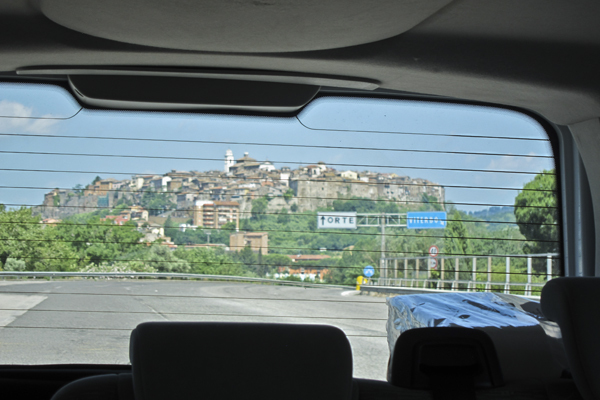 Orte is a small town about sixty kilometers north of Rome most noted for being an important rail hub. It is located on top of a high cliff which was our primary reason for wanting to get off of the highway – It just looked too cool to not investigate. After attempting to go up the very steep hill to get to the center of town in our not so smallish vehicle was proving to be very ill advised, we decided that visiting Orte was not in the cards on this trip but maybe there would be something in the general vicinity where we could find a bite to eat (we were famished at this point). 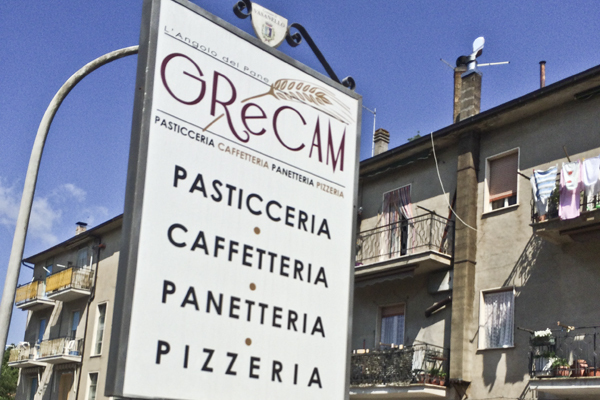 We continued on a winding road toward Vasanello and upon entering the commune di Vasanello we stumbled upon a small pasticceria called GReCAM. It isn’t in any guide books and there was nothing particularly remarkable about the street we were on or the façade of the shop, but we knew that they would have coffee and we were holding to firm to our belief that it was impossible to have bad coffee in Italy (which we were never able to refute, by the way). While there was nothing notable about the exterior of the shop, the interior was charming. It had a very old world meets new feel intermingling modern architecture, furniture and displays with traditional decorations and accessories. 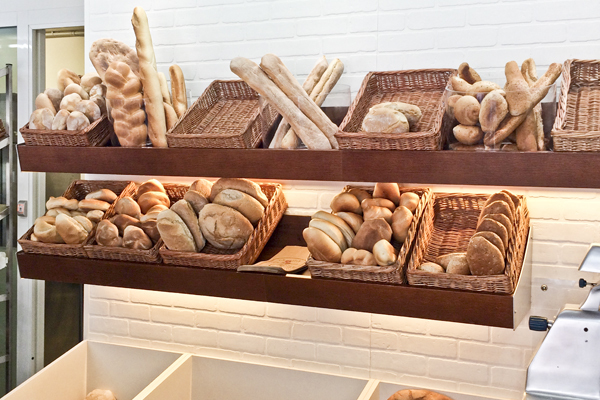 There is something delightfully appealing about freshly baked bread on display in rustic wicker baskets. 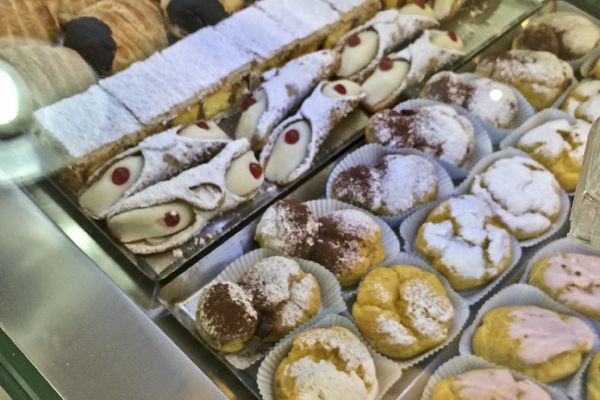 And then there were the pastries! We had a terrible time choosing because they all looked exquisite. 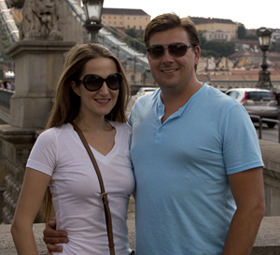 When we would go places and ask, “Capisce l’inglese?” (do you speak English? )most people would smile and confirm that they did and we didn’t not have to use much more of the Italian that we studied leading up to this trip. This, however, was one of the few times that not one person in the vicinity spoke any English whatsoever. This was also when the boys became quite impressed that their mother was more proficient in a language than their father. Let me just clarify that I am in no way skilled or even competent in Italian, but between everything I studied about the language leading up to the trip and the French that I learned in high school and college I was able to communicate enough to get by. I believe that if you master your numbers, directions, pleasantries (good morning/afternoon/evening/please/thank you/ etc.) and are able to ask “how much do I owe you?” you will be able to get by most places and anything else that you know will be an added bonus. My speaking Italian to the locals impressed the boys not because I was very good at it but because they are used to seeing their more outgoing daddy speaking and translating both Hungarian and Spanish on a regular basis while mommy rarely ever speaks anything but English to anyone outside of our immediate family. In my defense, I don’t exactly have a lot of opportunities to speak French (and now Italian) where we live and I only ever speak Hungarian to David, the boys, Dédi and my in-laws because I don’t feel comfortable enough in my ability to speak to anyone else (What can I say? I’m shy). I really didn’t feel confident enough in my Italian on this trip either, but when your options are communicating in poor Italian or not communicating at all, it is better to at least try your hand at what you do know. Plus, most people are pretty sympathetic and as long as you’ve made an effort, they will go out of their way to help you. And really, the worst that can happen is that they won’t help. Not exactly the end of the world. Moral of the story? Try. Mat attempting to read the morning paper and the boys hanging out by the sign of their new favorite bakery. Anyway, back to our coffee… We had the best cannolies I have ever tasted (Mat agreed and he is a bit of a cannoli connoisseur), creampuffs that were the perfect mix of light, airy pastry and rich Bavarian cream, and they served delectable Italian milk chocolate alongside their (full-fat) cappuccinos. We were obviously not counting calories at this meal (or during the entire course of our trip for that matter). This stop was just added proof that sometimes the best things are hidden away in unknown corners and only those willing to get off the beaten path will find them. Cappuccino and chocolate may be the best combination ever. 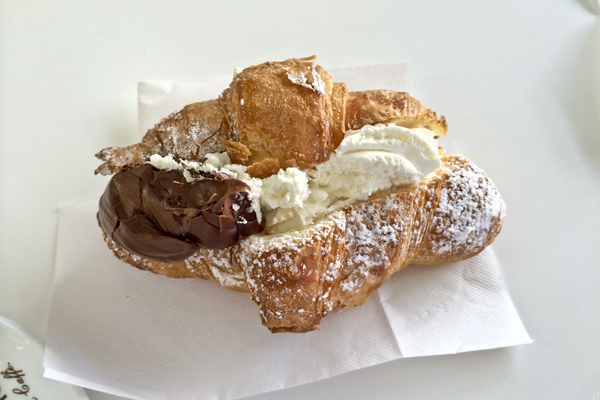 Look at that cream puff! Perfection! And now that I’ve made myself hungry, I’ll be off in search of decent coffee. Happy National Coffee Day!